So, it seems that Burkina Faso has to make the headlines every 6 months with a terrorist attack. In the past months we had seen more and more tourists in Burkina. Also, more news was coming about foreign companies coming to look at Burkina. I guess it will take a lot of strength from the government in to regain the confidence of the investors and tourists. Straight away, the Air France crews stop sleeping in Ouagadougou. My flight tonight is going through Cotonou (Benin) before reaching Paris. On the other end, I feel perfectly safe in Bobo Dioulasso where we have our house. Since 2 years, we have been working in the villages of Fon and Sidi 2. The village of Fon has an artesian well from which water is pouring out since 1988. For the village of Sidi 2 they have very few water points and the water chore is a very heavy task, especially for the women. The village of Sidi2 is rather well organized with strong leaders. Farmers have had the vision to plant cashew nut trees, which give them an extra income during the dry season. One of the projects they have asked us, is to look at the building of a dam on the “marigot” going through their village. This is the site where they wish to have a dam. The water will be used to grow vegetables in the field nearby. In the village of Fon they are not so well organized. The leaders are not very strong. They did not see the interest several years ago to diversify their activities with cashew nut fields. We have to ask why they do not use this water running nights and days, nor do they ask us to help them find a way to use this water. Since this well was drilled, several “projects” have come to the village to develop activities around it. I guess that the lack of organization and leadership of the village has stopped those projects to become reality. Since 2 years we have been recruiting children from the village of Fon and Sidi 2. 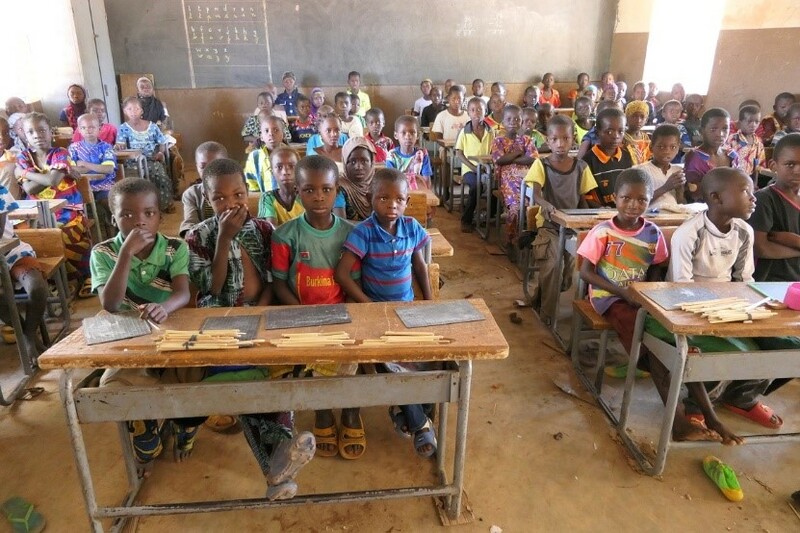 The number of children in the primary school of Fon has gone from 160 to 210 and in Sidi 2 from 180 to 230. Parents are now sending their children to school with the hope they will be admitted to the LAP. The consequence of this growth is overcrowded classes, since both schools have only 3 classrooms. We are building extra classes in Sidi 2, but we really need to find funds to do the same in Fon. The new class rooms being built in Sidi 2. I learned that courage is not the absence of fear, but the ability to overcome it. This is the last blog for this trip.